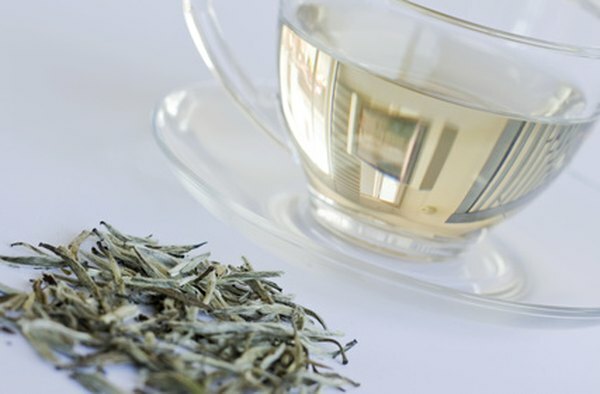 Silver Needle Tea, or white tea, as it is most commonly known, is the most revered tea produced in China. It is made of the leaves and buds that are gathered only between mid-March and early April and is less "processed," making the health benefits greater than those of other types of teas, even green tea. Because Silver Needle Tea is less processed than other types of tea, it is very high in antioxidants, which are naturally occurring chemical compounds that kill free radicals. Because they break down the cells of the body, free radicals are the underlying source of many serious diseases and ailments, such as heart disease and even cancer according to the American Cancer Society. Tea contains catechins, which have been called super antioxidants because they neutralize the harmful fats and oils in the body and help to lower cholesterol. Catechins also inhibit bacteria and viruses from growing and improves digestion while also protecting against strokes, ulcers and diabetes, says whiteteacentral.com. Whiteteaguide.com suggests that Silver Needle Tea may also aid in weight loss because it increases the metabolism and encourages the body to burn more fat. It also contains no calories, fats, carbohydrates or sweeteners. Along with the many health benefits of Silver Needle Tea, it has also been found to be a good relaxant at the end of a stressful day. According to TraditionalJapaneseHealingArts.com, the younger the tea leaves and buds, the higher they are in Theanine content. Silver Needle Tea, being made from tea buds, is high in the amino acid Theanine, which is a natural supplement that reduces stress and relieves anxiety without causing drowsiness or grogginess.